Could Apple launch its own branded headphones this year? | What Hi-Fi? Could Apple launch its own branded headphones this year? ..so obviously Apple's Beats brand won't cut the mustard. 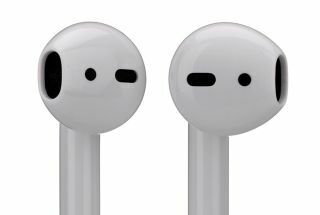 According to KGI analyst Ming-Chi Kuo, Apple is planning its own brand of high-end, over-ear headphones which could launch before 2018 is out, as reported by AppleInsider. The root of this prediction is a memo sent to Apple investors, which promises an "all new" design. Alongside the predicted upgrades to the AirPods, such as waterproofing and 'Hey, Siri' support, we could see a new line up of Apple headphones. Kuo says Apple is aiming to deliver a product with the convenience of AirPods, but with better sound. Which means it's almost certain they'll have the W1 chip for fast-pairing with Apple devices. Competing with Apple's own Beats brand on price seems unlikely. Currently, Apple's AirPods are priced at £160, while the Beats Solo Wireless 3 started at £250. Is Spotify making its own smart speaker?